City Lights raises their cups of coffee during their show. This portion of the performance was all about a work day in an office, and how they could not get through it without a cup of black coffee. 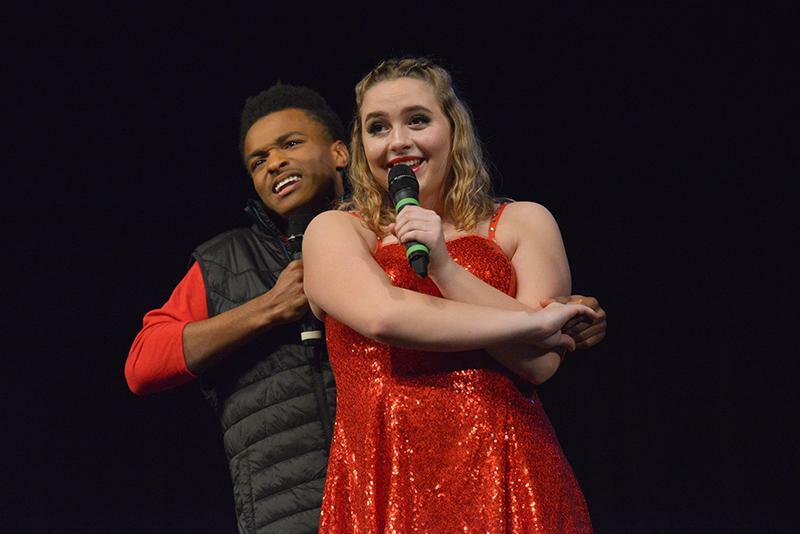 On the evening of Thursday, Jan. 31, the RBHS Performing Arts Center filled with song for the annual Show Choir Benefit Concert. The event has become a tradition among the choirs at RBHS as well as throughout Columbia. Kent said show choir members vote on a different charity to give the event’s proceeds to each year. This year, they chose the City of Refuge, a non-profit organization created to help refugees and immigrants in Mid-Missouri. At the end of the night, the show choirs presented City of Refuge with a check for $3,058. The event featured not only City Lights, but Satin n’ Lace, RBHS’ all-girls show choir, Battle High School’s Battalion show choir and several solo singers from Stephens College. 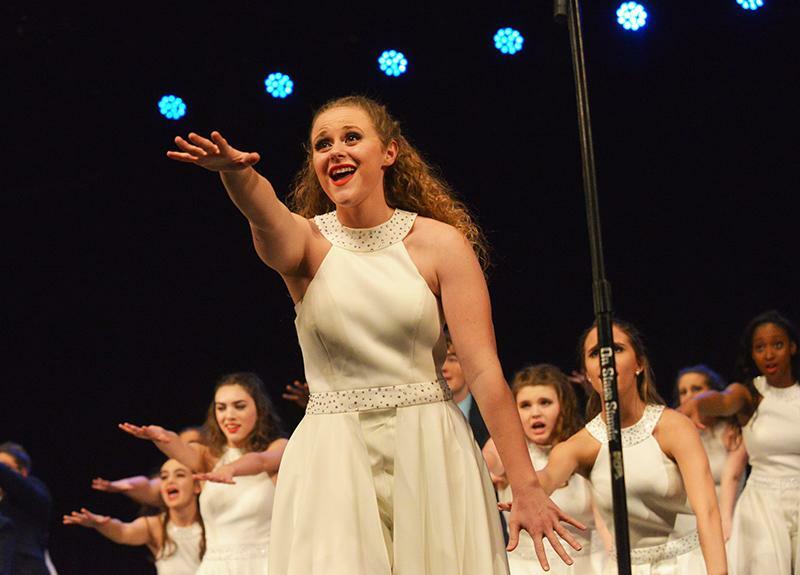 Not only does the Benefit Concert allow parents and friends to see multiple shows while giving to the community, but it also lets the show choirs get exposure to performing in front of an audience before their upcoming competition season. The show choirs will watch the video recordings of their performances to deal with any last minute adjustments before competing in front of a judge. 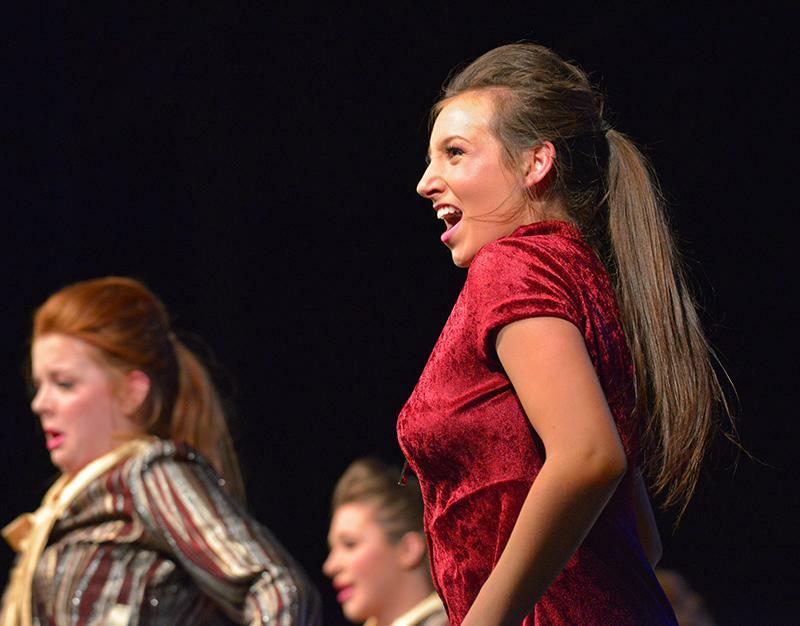 Performing in a stress-free environment without any judgement also allows the choir to feel comfortable about their show and to enjoy their time on stage. Junior Caroline Costa sings out during the Satin n' Lace performance. Because Costa is a member of both RBHS show choirs, this was only her first of many times on stage for the evening. Senior Battalion member Gracie Jones rises her arm to the beat of the music, leading her choir behind her. The Battalion performance varied in emotion from an upbeat and lively tone to a serious, heartwarming song about the importance of life. Two Battalion singers pose together during their duet. After a quick costume change, the Battle show choir returned to the stage in sparkly red outfits, singing about love. Senior Maddi Butler belts her solo during the City Lights show, called "Working for the Weekend." 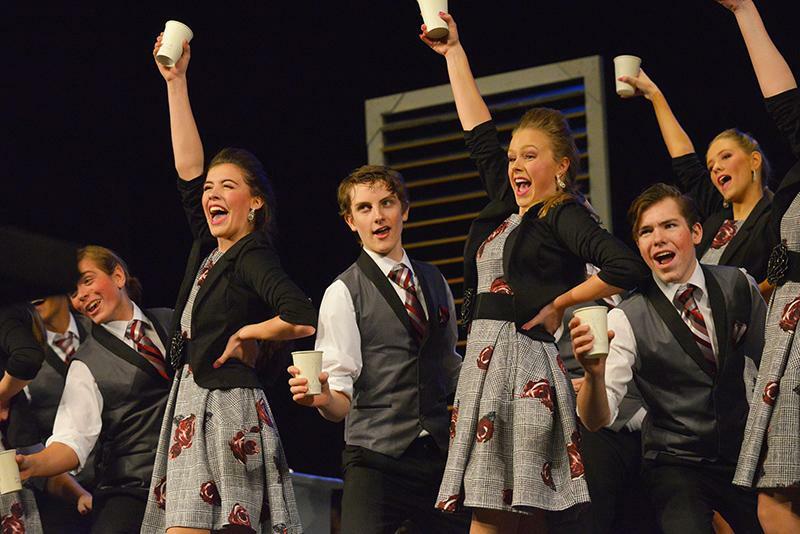 "[The show is] about starting your week at work in an office," Senior Lexie Hayes said. "We go from working hard to a coffee break to wanting life to slow down to getting paid and then to reaching the weekend." Senior Piper Page emotionally sings her solo during the City Lights show. Page's solo had a slower beat compared to the rest of the performance. She sang a powerful piece about wanting life to slow down. 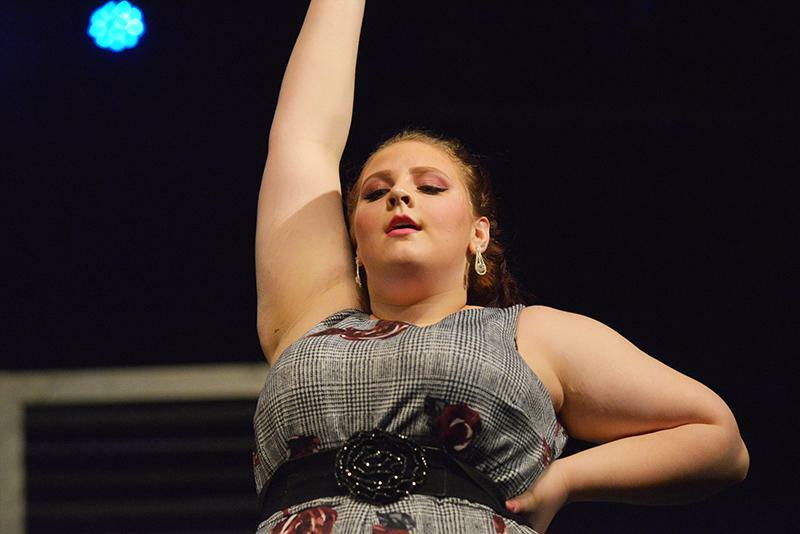 Senior Lexie Hayes poses during the City Lights performance. 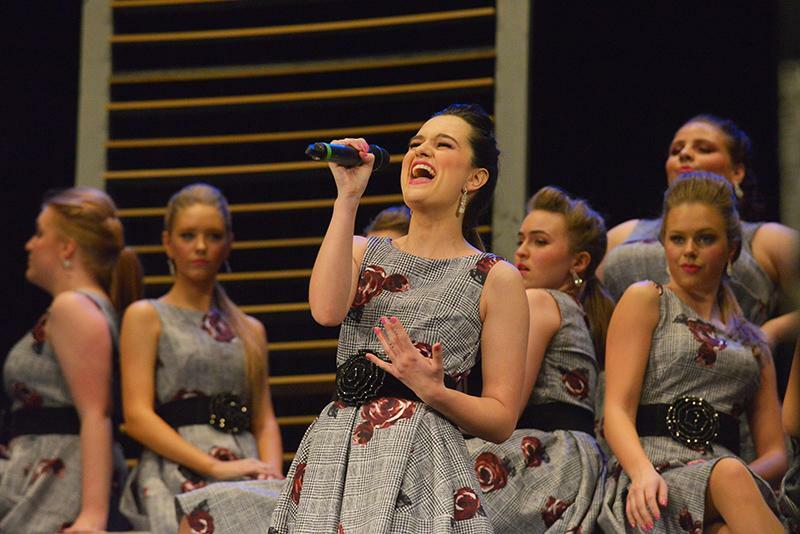 "This is my fourth year [in show choir] and it means everything to me," Hayes said. "I enjoy every minute of it. I get to do what I love with people who mean so much to me." City Lights singers kick their heels out at the end of the event. 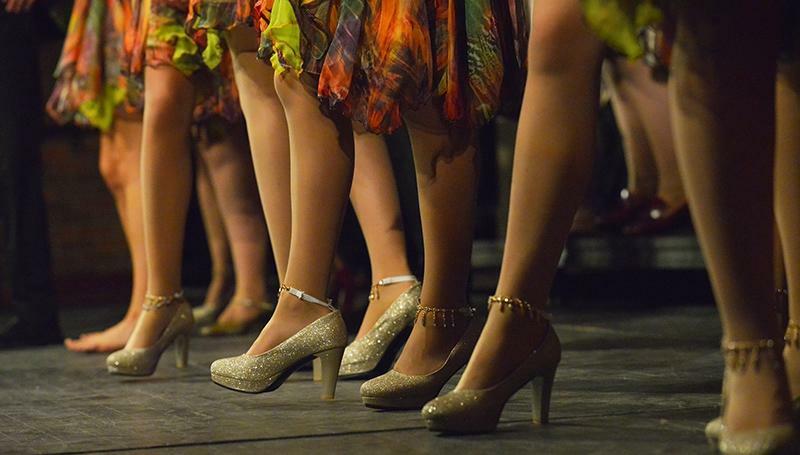 All three show choirs had multiple custom changes throughout the show, and City Lights' spunky and colorful dressed with bedazzled shoes ended the night. This was such a cool event to read about! The pictures added a lot to the article because they gave me a visual. The story was very interesting to read. I didn’t know Battle also participated in this concert. The photos are really nice and the article gave a lot of insight into what the concert was about.